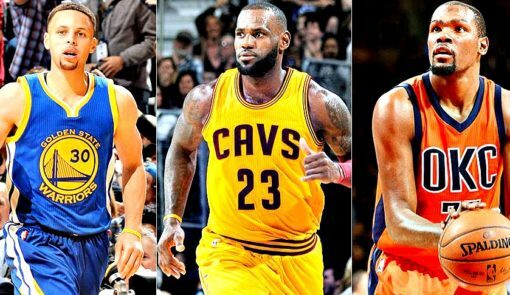 Fellow NBA players have chimed in on how the Golden State Warriors with Durant is changing the core of the NBA. Adam Silver, the NBA’s commissioner says that the signing is not ideal for professional basketball and that the Collective Bargaining Agreement needs work to help prevent this in the future. The Durant signing has also had a direct and significant impact on the Golden State Warrior’s roster; the team that many fell in love with the last two seasons has completely changed too. In order to sign the lanky “Durantula,” the Warriors had to trade/waive/not re-sign former starters Harrison Barnes and Andrew Bogut. And key bench players Leandro Barbosa (Phoenix) and Brandon Rush (Minnesota) left the team. Festus Ezeli and Ian Clark are probably walking too. Yes, the Warriors still have Steph Curry, Klay Thompson, Draymond Green, Shawn Livingston, and Andre Igoudola, but the composition of the team is completely different. However, in their place, the Warriors have signed Zaza Pachulia and David West, with the prospect of bringing back David Lee to the Bay Area and perhaps luring Ray Allen out of retirement. All these changes and still, the team that won the 2016 NBA Championship over the Warriors are the underdogs going into 2017 according to the latest odds. Most sportsbooks have the same NBA odds including Royal Vegas Canadian online casino which is offering more than 500 games and generous welcome bonuses for new players. After the top three, the oddmakers and sportsbooks weren’t in agreement. The Boston Celtics showed up at the surprising (or not surprising) 4th or 5th slot after adding veteran big man Al Horford. The Los Angeles Clippers also ranked highly on many of these lists, though their chances were relatively low. And despite losing the huge prize this summer, the Oklahoma City Thunder kept their odds pretty high with their signing of Victor Oladipo and draft day trade for rookie Domantas Sabonis, the Thunder showed up often in the top five odds. Odds are odds and things will change. And on top of all that, they still have to play the game. If we didn’t have to actually step on the court, we would have awarded the Warriors the 2016 NBA Championship when they were up 3-1 in the Finals. And look what happened there.